Our integrated coaching and technology solution, Coaching for Excellence increases performance at each stage of the leadership career cycle. 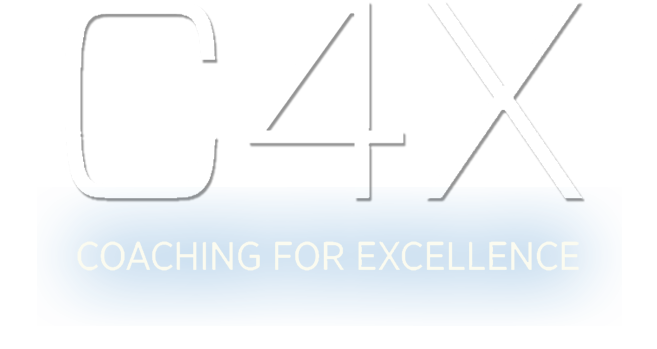 From onboarding to honing core leadership skills, C4X is the only solution to offer the scalability of a robust content and assessment platform with the high-touch impact of 1:1 coaching. For leaders, each C4X solution provides them with a personalized, time efficient, and results-driven solution that helps them to take accountability and achieve their goals. For companies, each C4X solution provides a scalable, measurable, and high-impact solution that enables sustainable change. C4X is the only program to provide leaders with the right combination of assessments, tools, skills, support, and metrics. With our 360 Feedback Report, participants select from a deeply-researched and robust list of competencies and skills specific to their development and leadership needs. 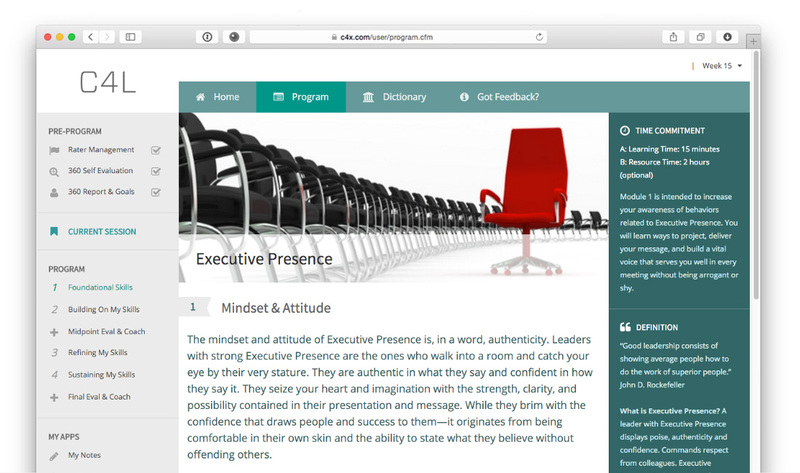 Live coaching sessions are provided with real-time feedback. It's the perfect balance of support and independence to keep your people on track. Allows you to see aggregate and individual data on participants - providing insights on cohort trends, program progress, usage and development goals. Our integrated coaching and technology solutions, Coaching for Excellence drives performance during each stage of the leadership career cycle. C4L will increase your leaders performance, regardless of their level of seniority, in the most scalable, measurable, results-driven leadership solution on the market. Manager effectiveness is the most important driver of employee engagement and performance. C4M gets new managers up to speed fast and transforms current good managers into great managers. Harness the energy and potential of your new hires! C4O accelerates new hire performance and retention like no other solution. Skyline G is proud to sponsor the HRPS annual conference. Apr 7, 2019 - Skyline G is proud to sponsor the HRPS annual conference. In a world where tomorrow is already history, how can HR executives stay ahead of the curve to anticipate organizational change and drive bold cultures? In an intimate environment among influential leaders, participants will benefit from close networking with peers and from the presentations and sessions that offer unsurpassed dialogue and discussion with speakers. It is a place where such interaction and Socratic questioning is applied to a full range of potential futures and solutions. An event you don't want to miss! Feb 20, 2019 - Skyline G is proud to be sponsoring and presenting at the HRCI Global HR Conference March 28th, 2019. Skyline Group's Annie Abrams will be presenting on the integration of human and digital forms of collaboration into organization and how culture and leadership can determine adoption and success. Leaders, Relax Don't Do It! Move from reaction to response and make better decisions. Jun 28, 2018 - How leaders react—or respond—is perhaps the most consequential behavior that they perform. Depending on the reaction, the tone or emotion expressed, and the words that are used, right or wrong decisions will be made, people will be inspired or alienated, and business results will be good or bad.